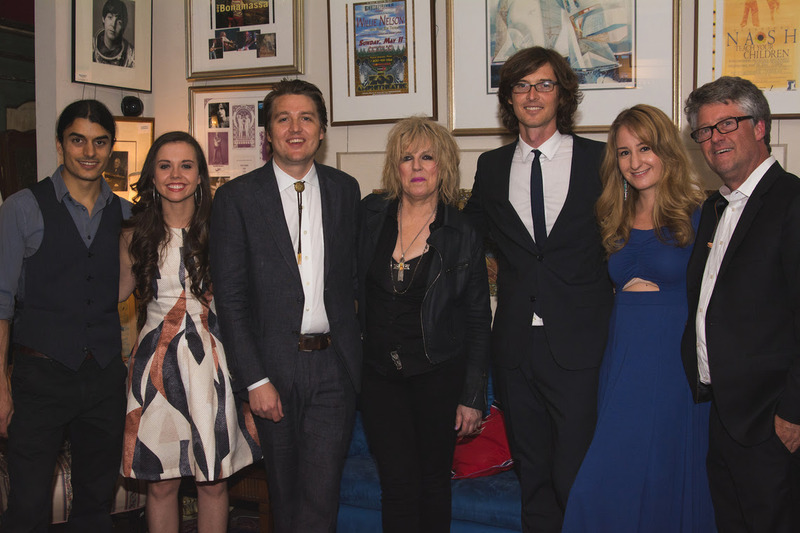 (L-R) Ethan Jodziewicz, Sierra Hull, Kenneth Pattengale, Lucinda Williams, Joey Ryan, Margo Price, Jed Hilly. The nominees for the 15th annual Americana Music Awards and Honors was announced yesterday from the historic Mansion on O Street in Washington, D.C. Aside from the odd elitism that an event from a ballroom of the luxury hotel symbolizes (the Mansion? I wonder if it’s on a hill?) it was an entertaining and fun event. The event was streamed via Facebook’s new ‘Live’ feature exclusively through NPR Music’s Facebook page. The Milk Carton Kids — Kenneth Pattengale and Joey Ryan – were their usual droll elves. Ryan once making he connection between the event’s DC location and his vow to “Make Americana great again.” While donning a bright red cap emblazoned with that motto. It was huuuuuge. Stellar performances by Lucinda Williams, Margo Price and Sierra Hull (who should be a nominee next year) with Ethan Jodziewicz put the spotlight on the purpose of the event – exceptional music by extraordinary musicians. The 2016 Americana Music Association Festival and Conference is scheduled for September 20-25, with the awards ceremony being held at the historic Ryman Auditorium on Wednesday, September 21. Americana Music Association honors additional distinguished members of the music community with Lifetime Achievement Awards, which will be announced leading up to the event. Jim Lauderdale is a natural as the proceedings host and Buddy Miller fronts the always exemplary house band. Can’t make to to the event? Understandable, as it has sold out in recent years. But do not despair, the Americana Honors and Awards show will shown live on AXS TV and an edited version will show up on PBS at a later date. It will also be broadcast via SiriusXM Radio, BBC2, WSM and Voice of America. South Carolina newcomers Shovels and Rope will lead the field with four nominations, followed by legendary Emmylou Harris and Buddy Miller each with three nods. I’m happy to report that a few of my choices made it on the list this year(Kelly Willis & Bruce Robison, YES!) and John Fullbright is up for Emerging Artist of the Year. Well if being nominated for the Americana Album of the year Grammy, as Fullbright was before losing to Bonnie Raitt, isn’t emerging the I don’t know what is. Dwight Yoakam’s dominance of the Americana charts earlier this year with his new release Three Pears (my review) also garnered him an Artist of the Year nod. Here is the full list of the 2013 Americana Music Award nominees. Are your choices here?